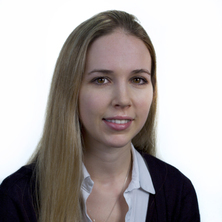 Dr Chelsea Dobbins is a Senior Lecturer within the School of Information Technology and Electrical Engineering (ITEE) at The University of Queensland and member of the Co-Innovation research group within ITEE. Her research focuses on areas including lifelogging, pervasive computing, digital health, human computer interaction, machine learning, mobile computing, mobile/wearable sensors, human digital memories, signal processing, and physiological computing. Her research has been supported by the UK's Engineering and Physical Sciences Research Council (EPSRC) for work related to developing a mobile lifelogging platform to detect negative emotions during real-life driving. Chelsea received her BSc (Hons) in Software Engineering and PhD in Computer Science, focusing on Human Digital Memories and Lifelogging, from Liverpool John Moores University (LJMU). She is also an Academic Editor for PLOS ONE and in 2016 received an ACM Computing Review Notable Article award for work related to mining multivariate temporal smart mobile data. Chelsea's research focuses on the area of lifelogging, i.e. how our lives can be logged through the use of wearable sensors and mobile devices. This includes detecting emotion and mood using various signal processing and machine learning methods and applying this to digital health applications. I am also interested in how lifelogging data can be presented and visualized in a more meaningful manner to support HCI and provide a platform for self-reflection and self-improvement. Stamp, Kellyann, Dobbins, Chelsea, Fairclough, Stephen and Poole, Helen (2018). The Influence of Game Demand on Distraction from Experimental Pain: A fNIRS Study. In: Frontiers in Human Neuroscience Conference Abstract: 2nd International Neuroergonomics Conference. 2nd International Neuroergonomics Conference, Philadelphia, PA, United States, (). 27-29 June 2018. Stamp, Kellyann, Dobbins, Chelsea, Fairclough, Stephen and Poole, Helen (2017). Development of a neuroadaptive gaming technology to distract from painful procedures. In: The First Neuroadaptive Technology Conference 2017 (NAT’17), Berlin, Germany, (139-140). 19-21 July 2017. Harris, Benjamin, Dobbins, Chelsea, Fairclough, Stephen and Lisboa, Paulo (2017). Measuring academic stress ‘in the wild’ with wearable sensors: removal of noise from wearable sensor data using FIR filters. In: The First Biannual Neuroadaptive Technology Conference. The First Neuroadaptive Technology Conference 2017 (NAT’17), Berlin, Germany, (121-122). 19 – 21 July 2017. Dobbins, Chelsea and Fairclough, Stephen (2017). Wearable Sensors, Driving and the Visualization of Cardiovascular Stress During Everyday Life. In: 1st Neuroadaptive Technology Conference 2017 (NAT’17), Berlin, Germany, (). 19-21 July 2017.